Abu Dhabi, United Arab Emirates: Emirates Park Zoo and Resort rescued Jasper and Shazly, two cheetah cubs from the Saudi Arabian border. Officials confiscated 15 cubs who were being smuggled into the country, with the intent of selling as pets. All 15 are suspected of being taken from the wild. 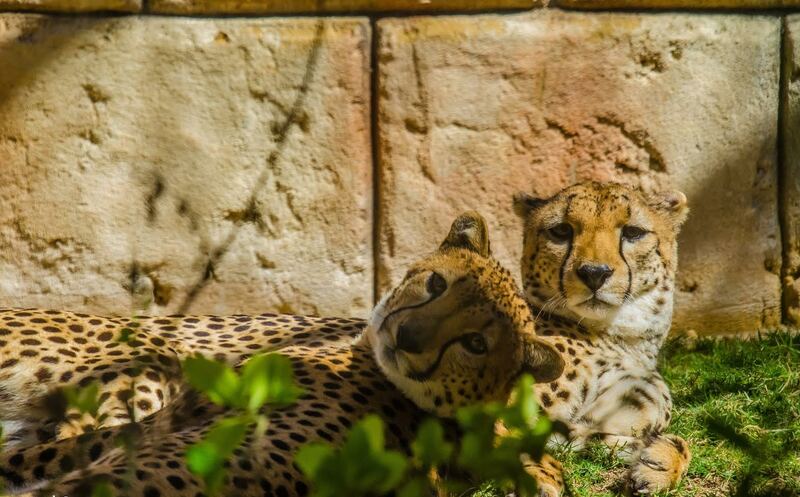 Guests can view Jasper and Shazly, as well as the artwork, at Emirates Park Zoo and Resort, open from 9 am to 8 pm on weekdays and from 9am to 9pm on weekends. Emirates Park Zoo and Resort, Abu Dhabi is located on the Abu Dhabi – Dubai highway, 30 minutes away from Abu Dhabi and only two minutes from Formula F1 assembly point. The resort is the first establishment in the UAE with an adjoined private zoo. Their initiative is to put Abu Dhabi on the global tourist destination without compromising on the environment and at the same time conserving nature. The zoo houses a Giraffe Park, Snake Alley, Bonnet Water Tank and a Mandrill Monkey House that is backed by the leading Parking Operator of the Middle East, Zone Parking Solutions. A star attraction of the establishment, the Elephant Enclosure, is sponsored by product powerhouse Abu Dhabi Coop. Emirates Park Zoo and Resort houses seven cafes and one restaurant that offers a wide array of dishes, cooked to perfection. The rooms are air conditioned with a private balcony that offers a spectacular view. All rooms come with wireless internet and satellite TV.